Approaching Ashurst (New Forest), Std 4 No. 76079 pilots LMS Black 5 45407 (now named 'Lancashire Fusilier') at the head of the 'Strong Countryman' charter on Wednesday 12th April 2006. 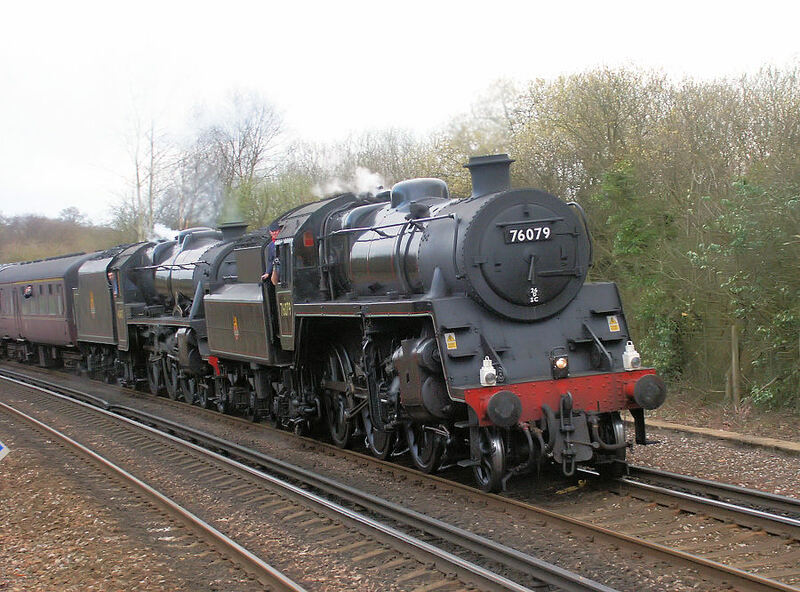 The charter ran steam double-headed from Salisbury to Yeovil, Weymouth, Eastleigh and Romsey before returning to Salisbury.